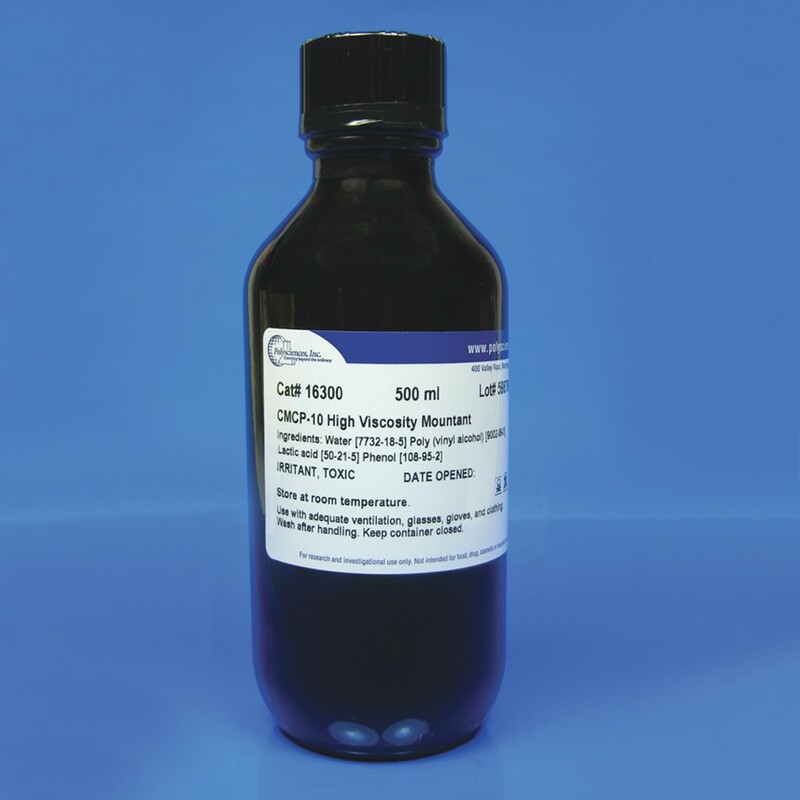 CMCP-10 High viscosity mountant | Polysciences, Inc.
CMCP is a colorless non-resinous, water miscible mounting medium for permanent transparent mounts. It can be used like Canada Balsam, but CMCP resin has the advantage of allowing live or preserved specimens to be mounted directly from water or alcohol. Useful in mounting free living nematodes and live parasitic worms.